Figure 1 of Mackey, Mol Vis 2011; 17:2118-2128. Figure 1. 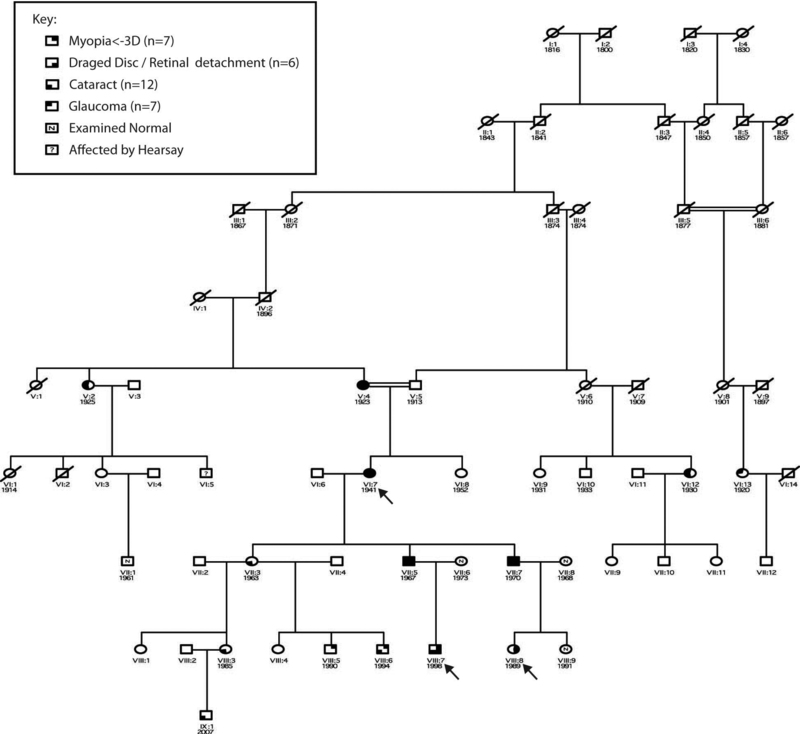 Reduced pedigree showing affected individuals. Square=male, circle=female, Top Right filled=myopia, Bottom Right filled=retinal detachment or dragged disc, Bottom Left filled=cataract, Top Left=primary open-angle glaucoma (POAG), n=examined and normal.